The pick of the first round women’s matches doesn’t feature a seed… Eugenie Bouchard will take on the in-form, Laura Siegemund for a place in the second round of the 2016 French Open. Siegemund is having quite the year… the 28-year-old German has spent much of her tennis life on the ITF tour but after a couple of bad injuries and spending time focusing on her studies, Siegemund has been hurtling back up the rankings. This has accelerated at an alarming rate in the past few months. Siegemund cracked the world’s top 100 for the first time in 2015 and has already risen 51 places into the world’s top 40 since the end of last year. Siegemund’s year began with her best ever result at a Slam, reaching the third round of the Australian Open after securing a big win over Jelena Jankovic in the second round. The confidence has kept on flowing since then; Siegemund successfully qualified for the main draws in St. Petersburg, Indian Wells, Stuttgart and Madrid. Siegemund had a great result in Charleston where she reached the quarter-finals but took it to the next level and then some by reaching the final in Stuttgart. Siegemund won seven matches in just over a week including three top ten wins. She didn’t drop a set en route to the final! Siegemund’s balance between aggression and variety has caused all sorts of problems for the players on the WTA tour. As Laura had gone under the radar for so long, I think that quite a few players were taken by surprise in the way that she plays. Fatigue started to set in by Madrid but she still managed another four victories to reach the third round. There have been quite a few medical time-outs in her last few matches and niggly injuries. Not only has her game caused problems, but she’s also wound up a fair few players with her antics! Bouchard enjoyed the best win of her year and career over Angelique Kerber, 6-1 5-7 7-5 in Rome. It was a huge win, particularly as the Canadian player had lost the second set having led 6-1 *3-0 at one point. She stuck to her guns and went for her shots when it really mattered to prevail in a tense and tight deciding set. It was a slight case of one step forward and two steps back as she won just one game in the next round against Barbora Strycova (Beezus is playing so well this year). Bouchard’s come a long way though since the horror 2015 season and it’s easy to forget how terrible it was. 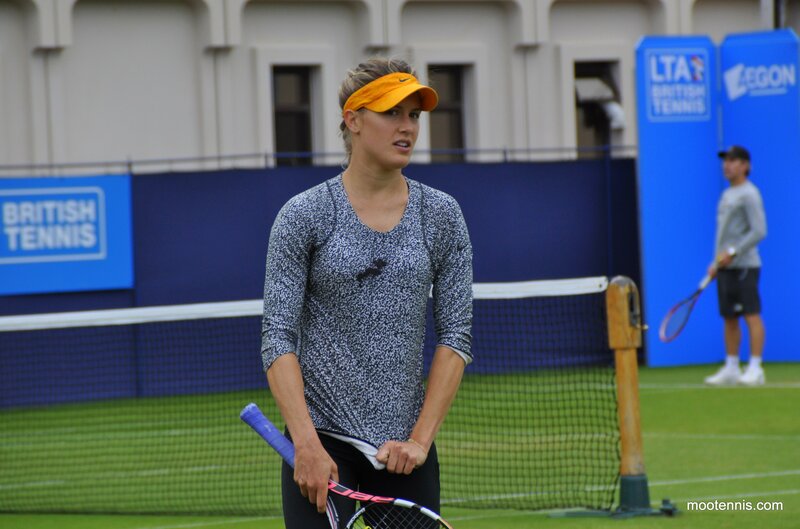 She’s looking fit and healthy again, and despite some injuries along the way, seems to be set for Roland Garros. Head-to-head record: Bouchard and Siegemund will be playing each other for the first time on the WTA tour. Final thoughts: I’m all over this match… I think it could be a really entertaining battle! I’m leaning towards Siegemund because of the game she plays and how she manages to mix it up with slices, spins and drop shots. I think this could upset Bouchard’s rhythm. It will also depend though on Siegemund’s health as she has played a lot of tennis in the last few months, which she has not been used to in the past. May 21, 2016 in Bouchard, Roland Garros, Siegemund, WTA. I’m torn on this one. I think Siegemund should win based on gamestyle but I think Bouchard’s confidence is back and she plays so well on the big stages. Bouchard will take this easily! Lol i’m sorry, 6-2 6-2 haha!